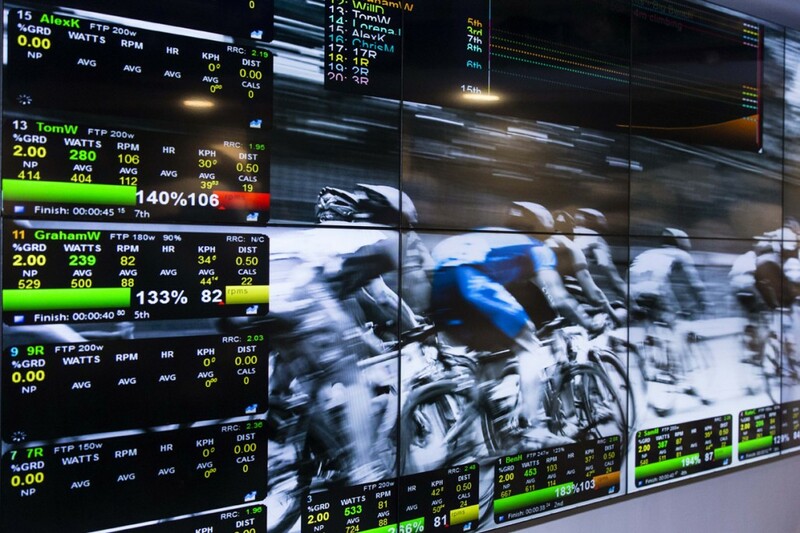 Athlete Lab London coaches Jack Evans & Andrew Davis have put together a short summary of how best to interpret your ride data – in and out of the Lab! By allowing convenient tracking of Data for each workout and over time, the Ride Report provides a powerful tool for analysing the enormous amount of data gathered by training with a power meter. The results of such analyses can then serve as the springboard for improvements in training and, ultimately, race performance. Compare ride reports of similar or the same session from 4-8 weeks to track performance – Look at avg. Power and AVG HR over both sessions. Ideally power is higher, HR is lower! For normal interval sessions, speed and distance data is not so relevant, but can be when doing the Real Ride courses based on gradient. 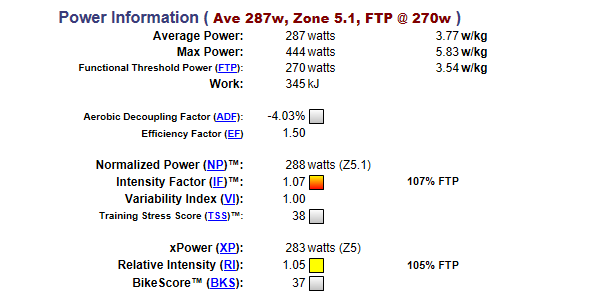 Good to look at average RPM, HR, Power and look out for any abnormalities. Heart rate is a good way of measuring how the workout felt; it’s a proxy for effort. We can think of this as “input.” Power and pace tell us what was accomplished in the workout or race. This is “output.” When input and output are compared we have an excellent way of measuring changes in fitness. “Efficiency Factor” and “Decoupling” use this relationship to tell us how fitness is progressing. Aerobic Decoupling Factor - What the software does here is compare the Efficiency Factors for the two halves of the workout. The difference between the EF for the first half and the EF for the second is divided by EF for the first half. This produces a percentage of increase or decrease in the second-half EF. Must be an ‘steady-state’ session and mostly aerobic, Ironmania/FTP test, 0% means HR has remained the same in 2nd half of session. More than 5% is not ideal but ok, 10% needs to work on! Neg % is great! Training Stress Score (TSS) - takes into account both the intensity (i.e., IF™) and the duration of each training session, and might be best viewed as a predictor of the amount of glycogen utilised in each workout. Thus, a very high TSS resulting from a single race or training session can be used as an indicator that one or more days should be scheduled off. As well, the cumulative TSS per week or per month can be used to help identify the maximum intensity and volume of training that still leads to improvements, rather than over-training. Time spent in each zone over the entire session. On all ‘FTP-based’ (blue) sessions, the FTP is set so will not be as relevant. For real-rides or gradient (orange) sessions this is more useful as you are controlling the power. Look for the zones that the session is aiming to improve Eg. ‘Power House’ 5x5min intervals at Zone 5 – as close to 25min spent in this zone as possible! Time spent in each zone should be relative to time spent in power zones. If considerably more time spent in higher zone, and if that is normal for you. If not then think of what reasons have caused that (sickness, sleep, caffeine, fatigue). If normal to have high rate zones, training in lower zones recommended to improve aerobic capacity. Best results from using HR zones if based on LTHR (Lactate Threshold Heart Rate) – this will be recorded and updated after an FTP test in the system. Most athlete not training to power out on the road, so HR is the closest medium to track training progress and set their training zones to ensure correct intensity of sessions. Only available from gradient (orange) workouts or FTP Tests. Can be analysed on a ‘pedal efficiency test’ with video analysis. Average is out of 100 – 100 would be a machine turning a perfect circle. Anything about 75-80 is very good for a human. Coaches in all of our Labs will be more than happy to answer any further questions you may have!